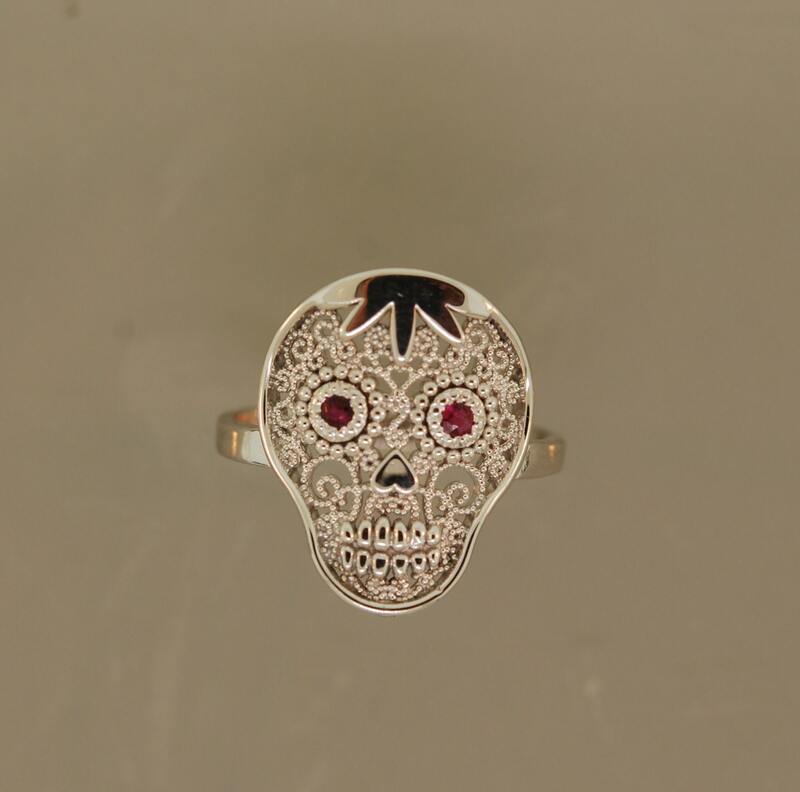 This ring celebrates The Day of the Dead or Dia de los Muertos. I made this as a special order for a customer and wanted to share the idea of setting gemstones into the eyes. Its very fun and the filigree background looks amazing behind the features of face. I can make for you in your size. 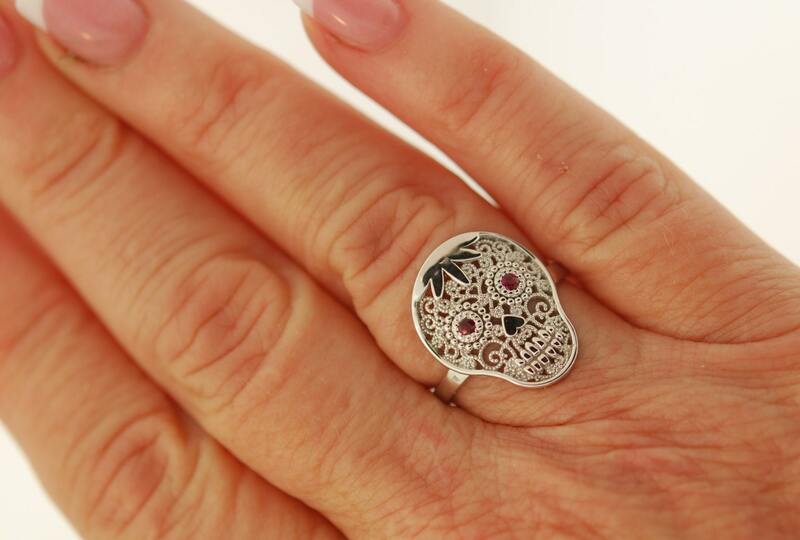 The skull measures around 18 mm by 15 mm. This is an original design by me. I hope you like. 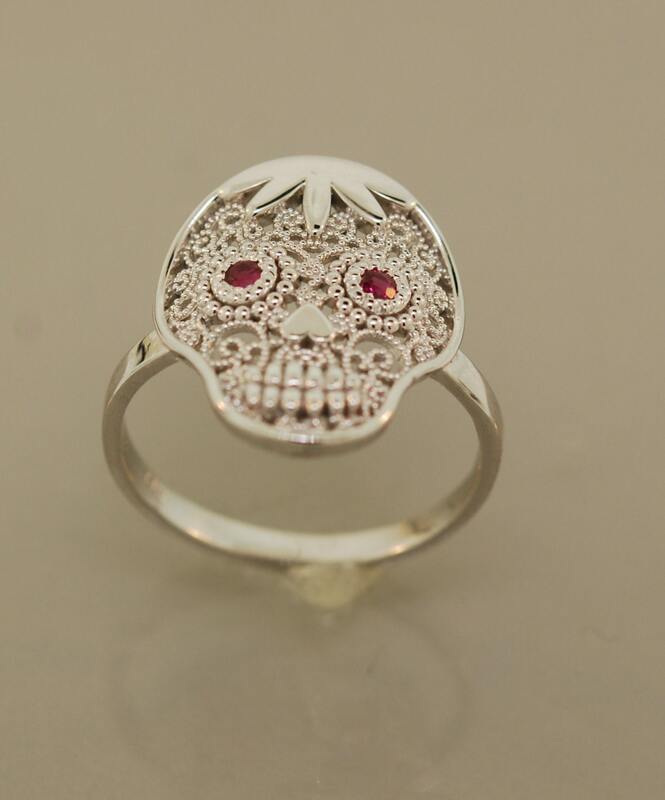 I can make this ring in sterling silver with the stones set in eyes. Also ring is available in rose and yellow gold. Please email me for a price.